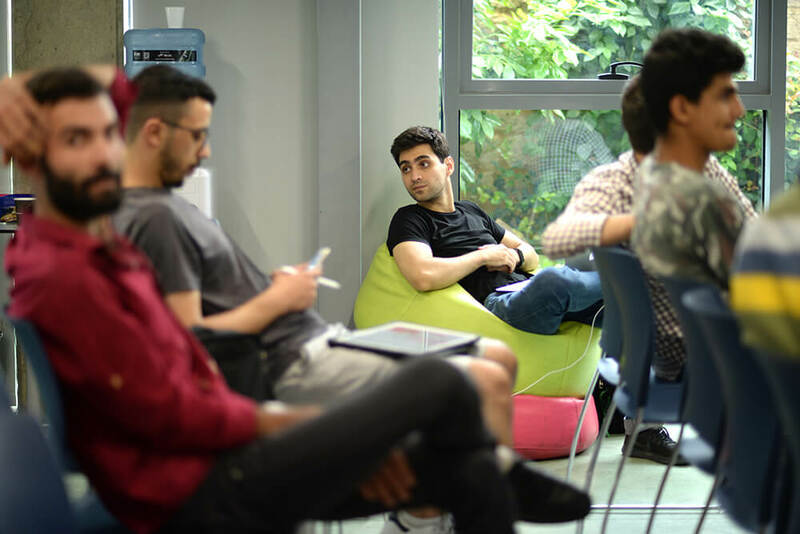 Twenty teams of Syrians with ideas for startups attended a bootcamp in Erbil as part of the Startup Roadshow competition (Photo: Startups Without Borders). As the employment market for refugees shrinks in the Arab region, many international organizations are providing entrepreneurship training for refugees in the hope that they might create their own businesses. Examples of efforts by nongovernmental organizations include a competition organized by three groups—Jusoor, a nonprofit founded by Syrian expatriates in the United States; Spark, a nonprofit based in the Netherlands; and Startups Without Borders, a global platform that links migrants of all kinds with resources to build their own businesses—to train and support Syrians. 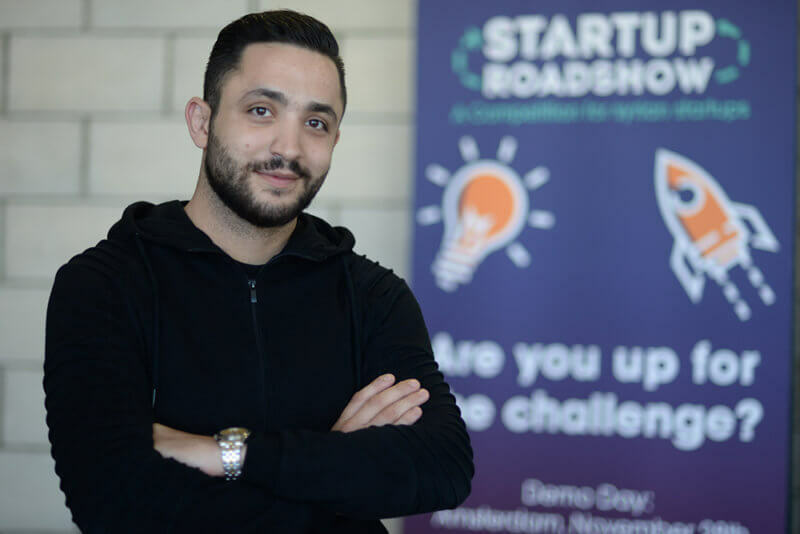 The competition, called the Startup Roadshow, is offering boot camps to support budding entrepreneurs in Beirut, Amman, Erbil, Istanbul and Gaziantep. The competition aims to support the creation of economic opportunities for Syrian youth by helping them start businesses from ideas that provide novel solutions to problems, or to take young businesses to the next stage of their growth. The competition will give qualifying young people the necessary skills and tools to accomplish these goals, said Dania Ismail, a co-founder of Jusoor and director of its entrepreneurship program. A Syrian entrepreneur at Startup Roadshow boot camp in Lebanon (Photo: Startups Without Borders). The Startup Roadshow competition offers participating teams the opportunity to be trained and mentored by some of the best entrepreneurs in the Middle East and North Africa, Ismail said, as well as a host of support features such as Google Cloud Services, Facebook Ads, and free design services for each project’s presentation. The two winning teams in each city will travel to Amsterdam to present their projects at Spark’s Ignite Conference in November. The final winner will receive an $8,000 prize. Academics who have studied entrepreneurship in the Arab region note that potential entrepreneurs face many challenges. “There’s a huge amount of pressure for young people in the region to make money, and I think the risk in starting your own company is just more profound in the Middle East, compared to Europe,” said Jonas Feller, a private-industry consultant who specializes in Arab-region markets and who wrote a thesis on startups and entrepreneurialism in the Arab world. Arab markets can be relatively small, he said, and the ability to travel regionally or collaborate across borders can be limited. In Europe, Feller noted, would-be entrepreneurs have a welfare and health-insurance safety net to fall back on if their businesses fail and to support them when they are in the start-up phase. France even offers some entrepreneurs monthly stipends. Jusoor and Spark’s competition is not the first of its kind to target refugees. The MIT Enterprise Forum Pan-Arab Region started a global competition in 2016 called Innovate for Refugees to find technology-based solutions to the challenges faced by refugees. The program is taking its third round of applications, which are due before November 2. 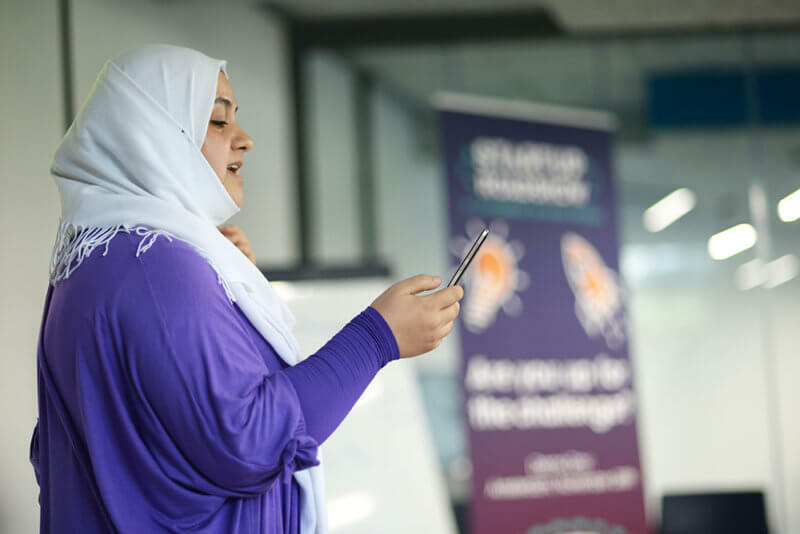 Startups Without Borders has also organized events like Women on the Move, which brought together female refugee and migrant entrepreneurs in Cairo to raise awareness about start-up opportunities and to help the women with workshops and advisory sessions. 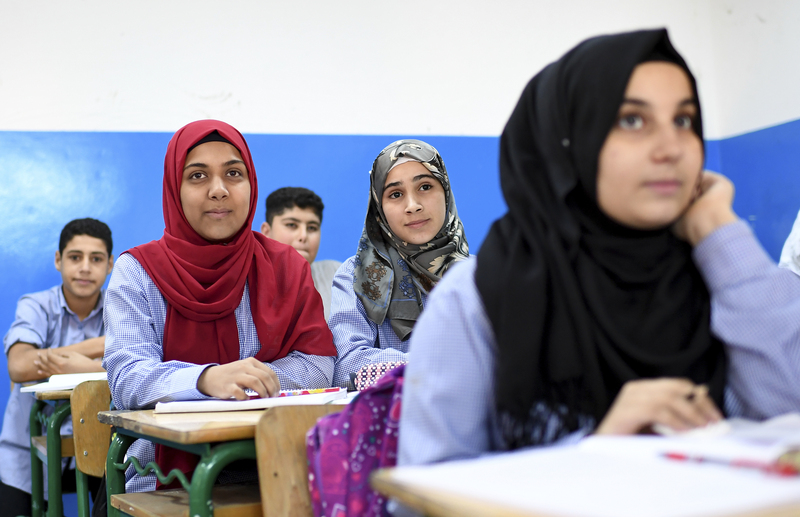 Other international organizations interested in supporting refugee education and employment—such as UNHCR, the United Nations refugee agency, and the International Labour Organization—offer training programs to help refugees and disadvantaged groups to establish private enterprises. The leaders of these programs don’t view themselves as competing with traditional higher education. “We don’t see it as a replacement, but rather a complementary service to youth,” said Dania Ismail, of Jusoor. Bijl says regulations restricting refugees’ abilities to establish their own projects could deprive the host communities of significant economic benefits. The economies of host countries such as Jordan would benefit from any commercial activity done by the refugees on its territory, she said, as it will reduce the financial obligations of the government toward refugees. The taxes and fees paid by the refugees for legal businesses would support the government’s treasury. For now, local regulations and the uncertain future of Syria itself do not appear to adversely affect international institutions’ training programs. “Our program is based on the intern principle, which means that Syrians don’t actually work, but only obtain skills at businesses by interning,” said Bijl. “Those skills will travel with the refugees wherever they go,” she said. Benjamin Plackett contributed reporting to this article.